Take up to 70% discount on men's footwear at the Duke and Dexter Sample Sale. 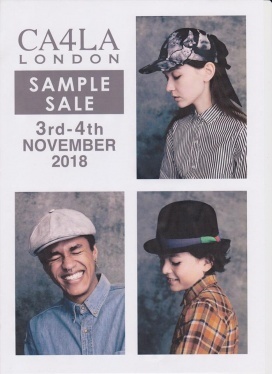 Shop for hats for men and women at reduced prices at the CA4LA Sample Sale. Featured in Vogue, Harper's Bazaar. 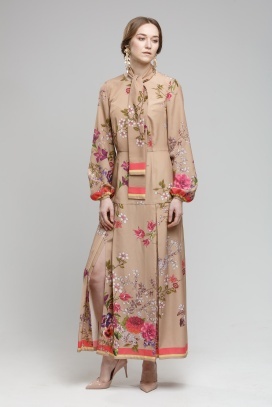 Worn by Gillian Anderson, Yasmin Le Bon, Holly Willoughby, Emma Watson and many more. Prices from £35, lots of treats! Shop for women and kids' apparel and accessories at reduced prices at the Moonsoon Accessorize Sample Sale. Take up to 80% discount on women's apparel at the GENE Sample Sale. 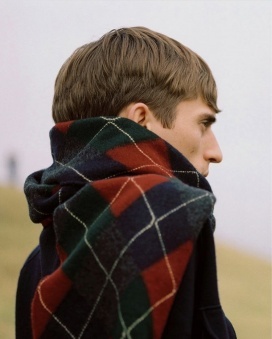 Brands included are 3.1 Phillip Lim, Holly Fulton, Temperley, Bella Freud, Diane von Furstenberg, Brown Allan, Être Cécile, Les 100 Ciels, OAKWOOD, Mary Katrantzou, Preen by Thornton Bregazzi, and Pringle of Scotland. Price ranges from £15 to £200. 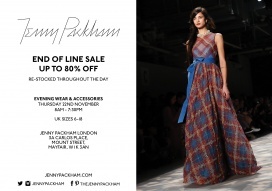 Take up to 80% discount on eveningwear and accessories at the Jenny Packham Sample Sale. Sizes are 6 to 18. Shop for men and women's apparel and accessories at reduced prices at the Samsøe and Samsøe Sample Sale. FREE ENTRY for everyone. Click the website link for Event Brite above. Upto 75% off old seasons and ex samples. 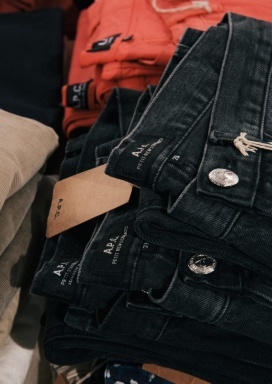 Great selection of Denim, jackets and clothing at this two day sample sale. Friday 7th - Saturday 8th of December @ Hampstead town hall, 213 Haverstock Hill, London, Nw3 NQP. Closest tube - Belsize Park (Northern line). 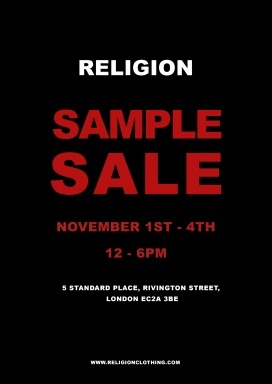 Take up to 80% discount on men and women's apparel, footwear, and accessories at the Religion Clothing Sample Sale. Take up to 70% discount on furniture at the Knoll Sample Sale. 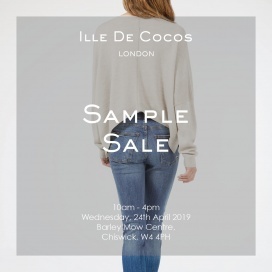 Shop for women's apparel at reduced prices at the in.no and Ilse Jacobsen Sample Sale. 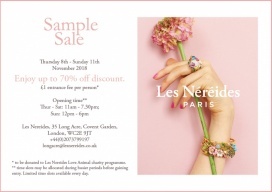 Les Néréides will be hosting a Sample Sale featuring up to 70% discount on their enchanting pieces of jewellery. 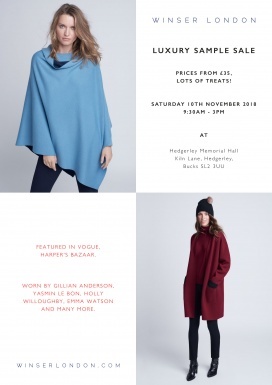 There will also be a complimentary 20% off on their current season in-store items! Time slots may be allocated on busier periods, with some slots available every day. 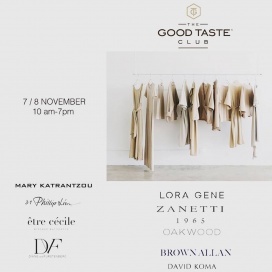 This event will benefit the Love Animal charity programme of Les Néréides. 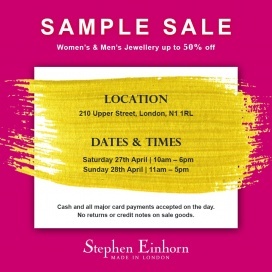 Shop for keyrings, purses, wallets, leather accessories, portfolios, and travel bags for men at reduced prices at the Ettinger and Cheaney Sample Sale.